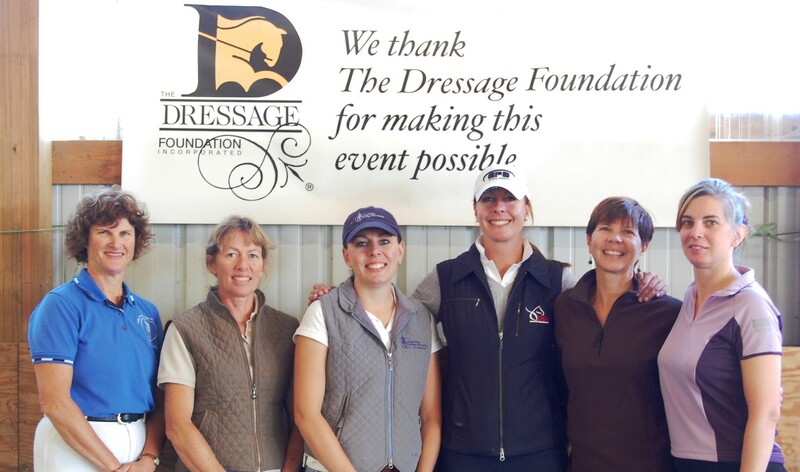 The Dressage Foundation is pleased to announce two grant recipients from its Elysium Farm Fund for U.S. Breeder Excellence; Lisa Dickman (VA) and Gina Leslie (NY). Applications will again be received in 2016, with a due date of May 1st. 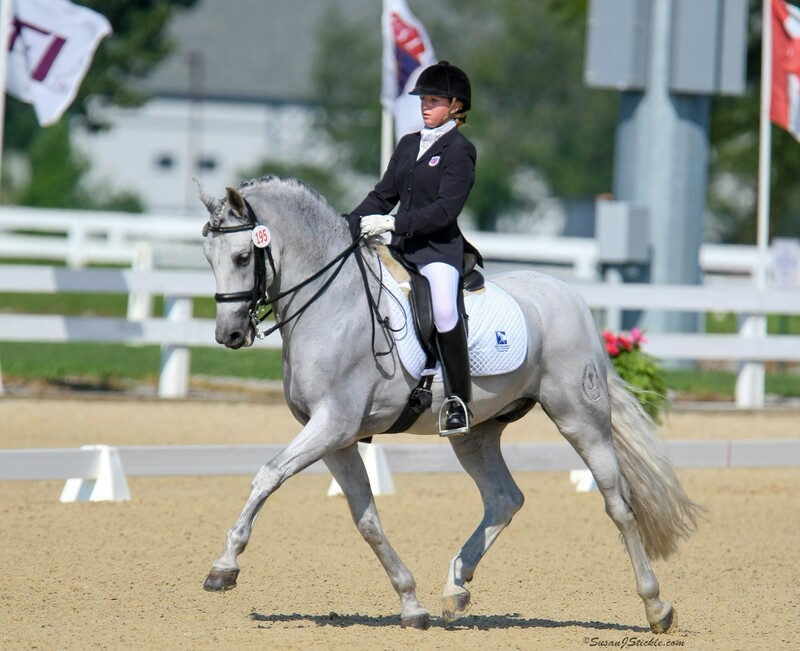 Further information about the Elysium Farm Fund for U.S. Breeder Excellence is available at The Dressage Foundation website, www.dressagefoundation.org or call (402) 434-8585. 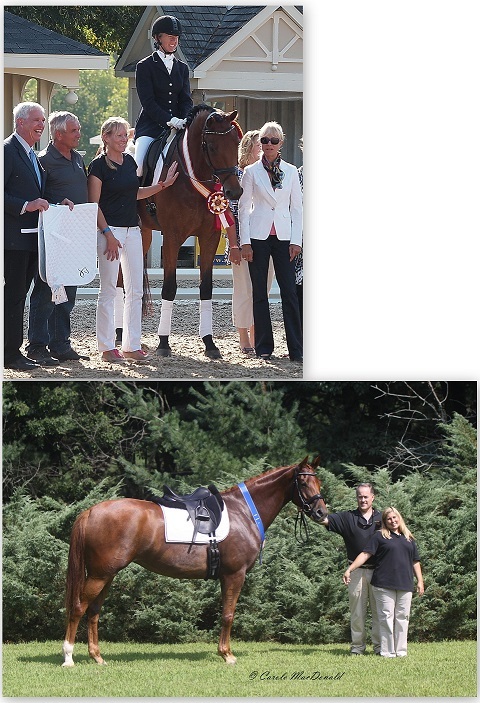 Top - Lisa Dickman, standing at left of horse. Photo by Siegi Belz-Fry. 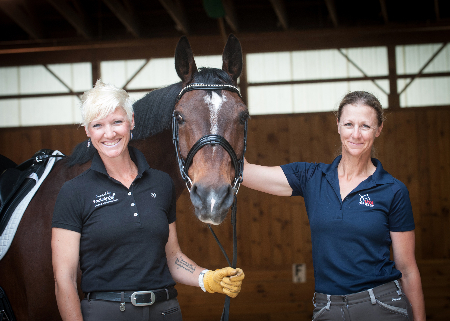 Bottom - Gina Leslie of Sandpiper Farm. Photo by Carole MacDonald.